Thanks to technology, you have a multitude of ways you can save money in energy costs within the home and office. However, many of the tips and tricks you find are less than practical for your needs. Luckily, there are still a plethora of ways you can save on energy costs regardless of where you are. Many of these won't require a life-changing alteration to your current habits. Many areas offer multiple energy providers allowing you to shop around for the best prices. When you compare providers based on rates, products and services, you can find the one that best fits your needs for powering residential and commercial locations. You may even find providers that resell green energy methods such as sun and wind. Many appliances in your home can consume a great deal of electricity even when they're not in use. Items such as computers can make a profound impact on your monthly budget. Turning those devices off at night will not only save energy, but it will also improve the lifespan of various components. For example, the average computer fan has a lifespan of approximately 50,000 hours. Turning off your computer at night could increase the time you have before a replacement is needed. Although CFL and LED bulbs are more expensive to purchase, they last for nearly ten to fifteen times longer than traditional bulbs. 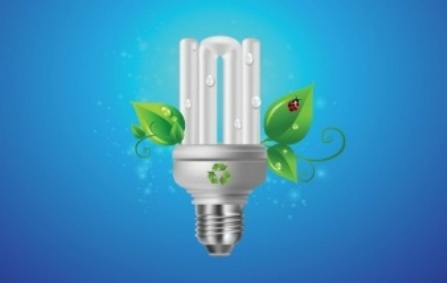 This means you'll save money on energy costs while purchasing less bulbs over time. When you consider the longevity of these items, they are usually cheaper in the long run. Making sure your doors and windows have a tight seal can help reduce your heating and cooling costs. The materials you'll need to seal these cracks are inexpensive and widely available at various stores. Many devices will continue to draw power from the socket even after a battery has been fully charged. This includes laptops and units that have a powered digital display. Even though the energy drain is small, it adds up over time. While things such as solar panels, green roofs and eco-friendly appliances can make a great impact on your energy costs, you don't have to make large purchases to do your part in conserving electricity. Be conscientious about how you utilize the energy in the home and office and you could see savings relatively quick.